Get two months industrial training in digital marketing to get core understanding of several online marketing techniques. 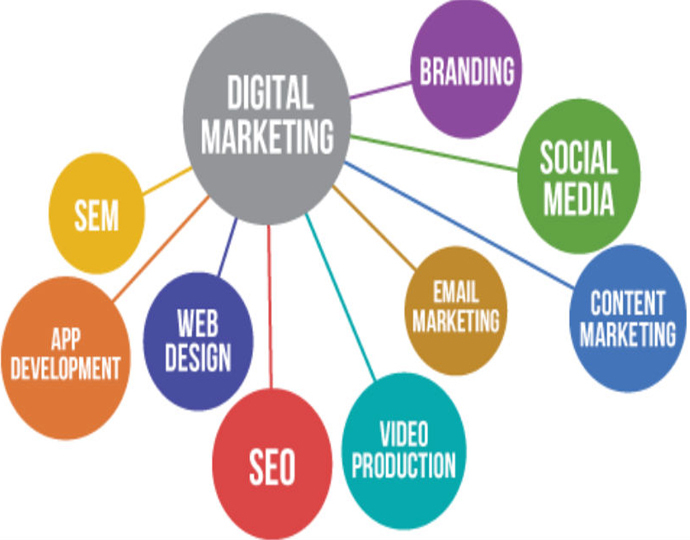 Digital marketing training institute covers concepts such as SEO, SMM, PPC, Email marketing.Market your goods & services by developing effective marketing campaigns. Get professional & job oriented lessons alongwith live projects, by experienced web marketing experts. As the name itself suggests, digital marketing is, to market or promote your products, services, brands, business, organization etc by means of the internet technology, which is a widespread medium of communication today. We all are connected through the internet which builds up a huge network of masses throughout the globe. With this you can easily interact with the users through your website, build a good clientele and subsequently improve your sales. Therefore, digital marketing is a flourishing industry. It is essential, nowadays, to advertise your marketing campaign effectively by using digital marketing techniques, as , the cutthroat competition in the web market is ascending and you will be seen nowhere if you do not adopt these advanced techniques and technologies for your website.On the other hand, if you utilize this online marketing technology to your advantage, you will notice your website’s visibility and improved ranking in the search engine results.Our aim, at Sphere, is to make you completely skilled in the digital marketing field. This is the reason why we are offering you an industrial training program in the same, which is for two months only. During this training, our experienced expert faculty members will guide you and give you core knowledge of the concerned area of study, in addition to making you practice on our live training projects, which will be implementation-based. They will rectify all your problems that you might encounter while working with this program. This training will give you good future opportunities of getting into different IT firms.